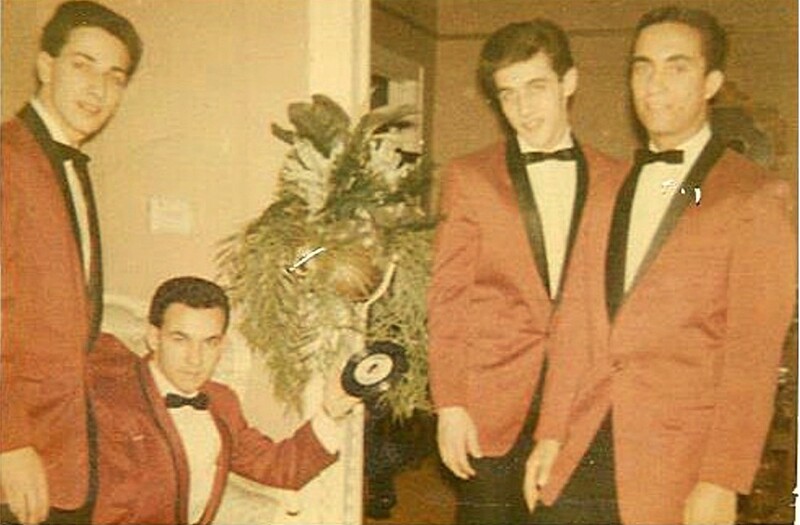 Group from the New Utrech High School in Brooklyn formed in 1961 by John Randazzo,Tony Giordano,Vicent Esposito and Rich Torelli (Vicent soon replaced by Billy Schalda). 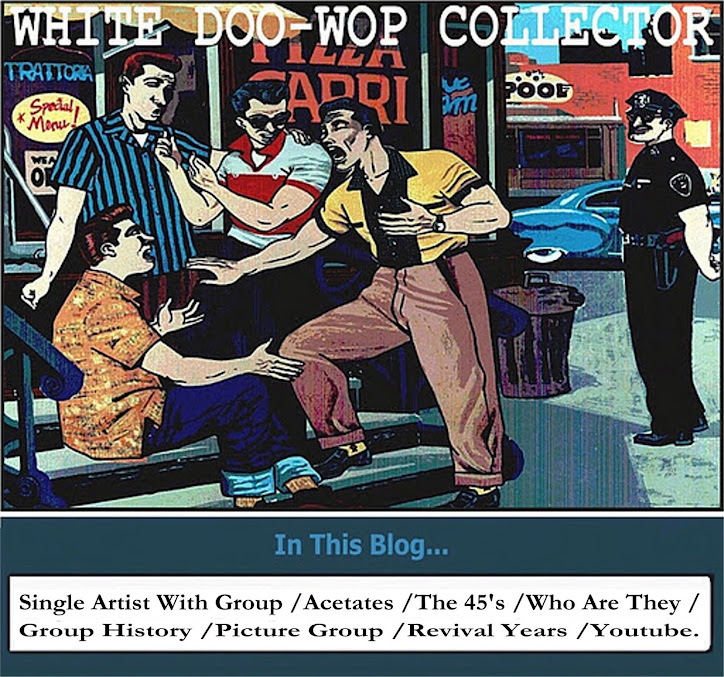 The group first recording are with an teacher fan of the Elvis Presley music Don Del Sini(Don Dell,See in this blog Don Dell & The Up Stars.) they cut in 1962 for Roman Records (label owened by Don) the Presley's sound-a-like side_I Want You,I Need You,I Love You. 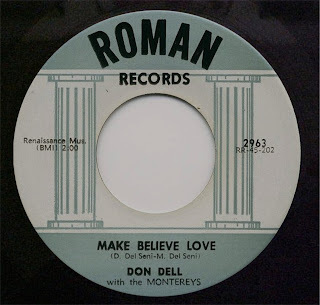 and the another tune in the Dion & The Belmonts style_Make Believe Love. 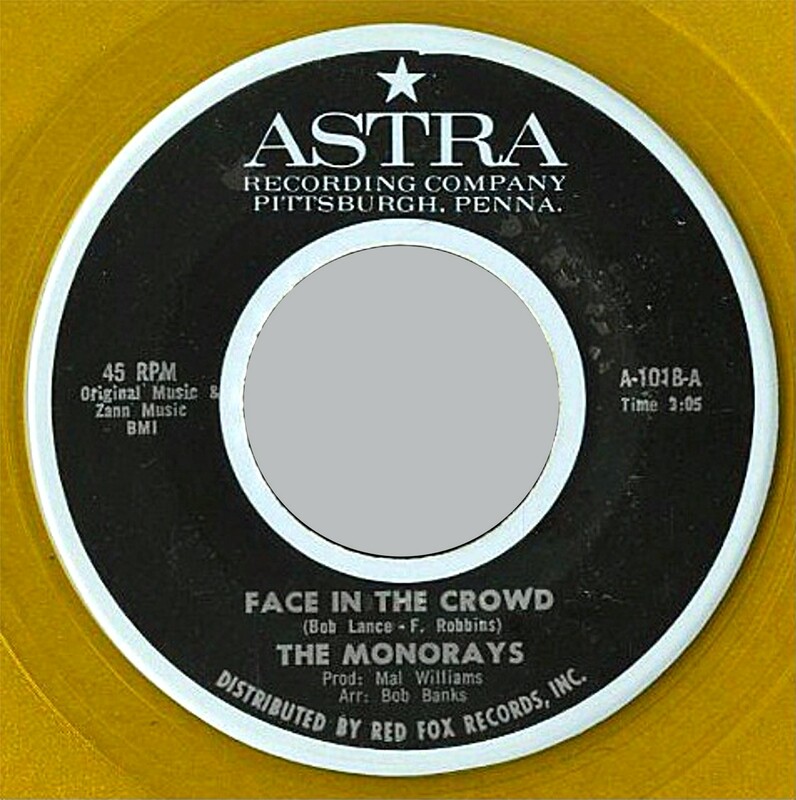 The next record was in The Blast Records Label in 1964 with the sides_Face in The Crowd/Step Right Up. under their own name of THE MONTEREYS. 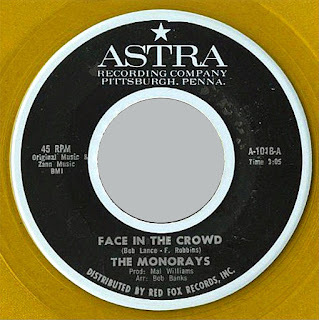 In 1966 Astra Records re-released these sides under the group name of THE MONORAYS. I receive this information from Anthony M Giordano member of The Montereys. I just thought I’d set the “record” straight. The picture you have posted is a picture of the early Monterey’s. Vinny Esposito left the group way before we recorded Make Believe Love on Roman records. Billy Schalda sang the second tenor on Make Believe Love, and Face in the Crowd (Blast), Billy also sang the lead to the flip side Step Right Up. Johnny Randazzo, the lead singer of the Monterey’s past away in 1989. 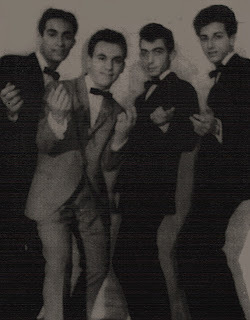 The group was originally formed in 1960. Vinny left soon after that and was replaced with Billy. The group stayed together until 1968 when Billy, Richard and myself formed another group called ‘Sy Rapp’ for about 1 year. The original group Billy, Richard, Johnny, and myself got back together and sang from time to time until Johnny’s death. Hello Jack, Billy, & Richard. Sorry to hear about Johnny. Those were the days. I left Brooklyn in 1977.